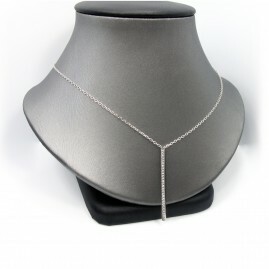 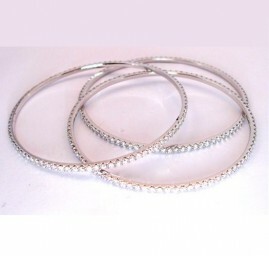 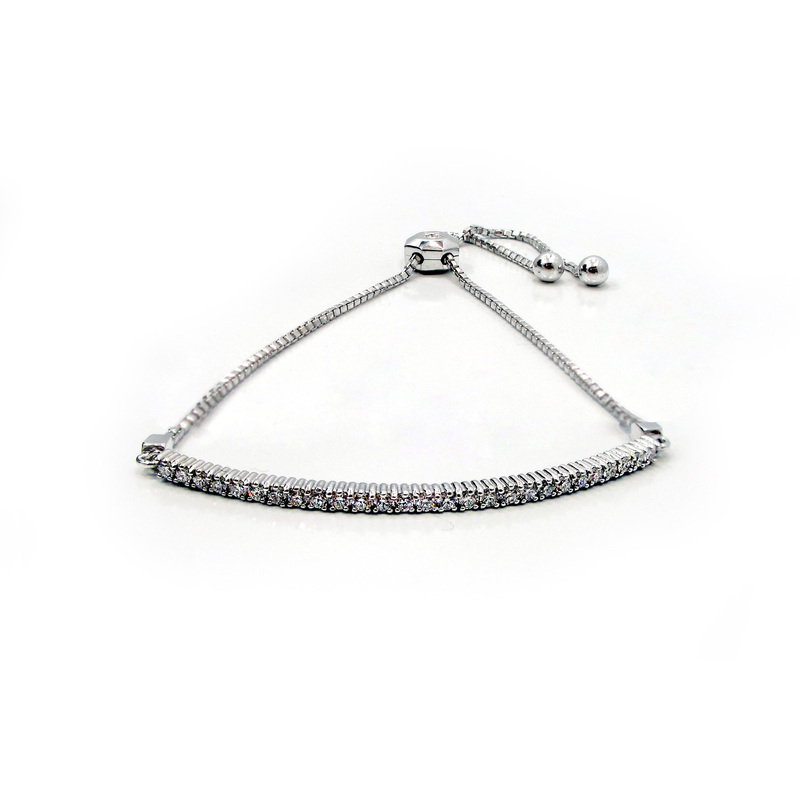 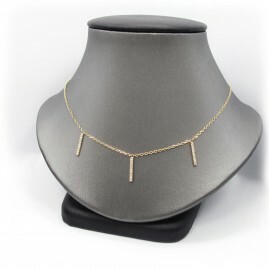 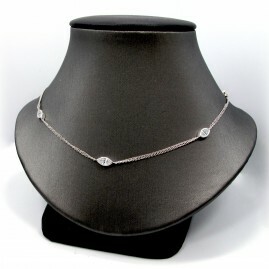 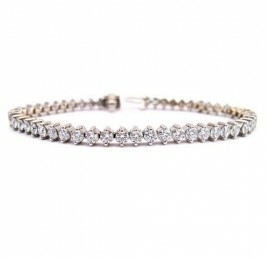 This bracelet is an adjustable 14k diamond bar bracelet. 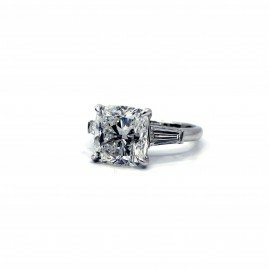 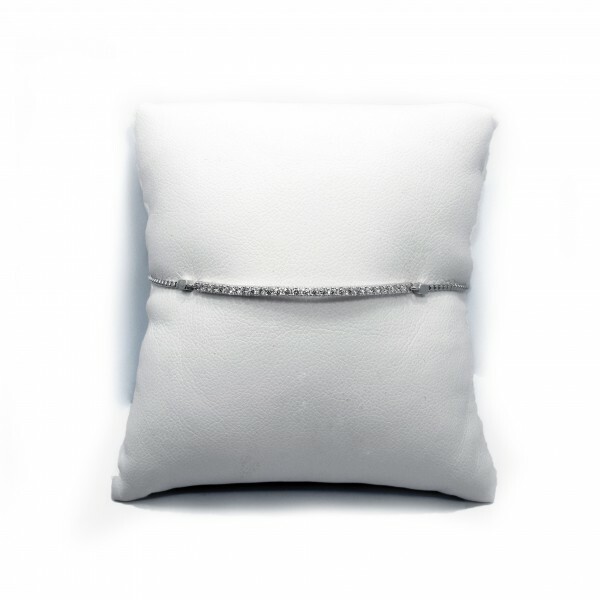 The bar is 1.75 inches in length and contains 24 round brilliant prong set diamonds of G/H color and SI clarity. 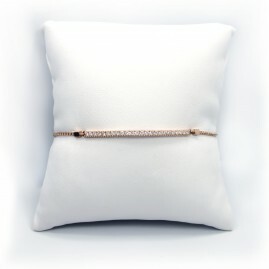 This bracelet is available in white, yellow, and rose gold.